Whether you want to work, live or play, s1 has all the information you need about Edinburgh. The capital city of Scotland, Edinburgh is Scotland’s second biggest city and home to the Scottish Parliament. Edinburgh is also home to the Queen’s official residence in Scotland, the Palace of Holyroodhouse. A centre of Scottish commerce since the 13th century, Edinburgh has so many historic buildings that the Old Town and New Town districts are listed as UNESCO World Heritage Sites. With over 35% of available jobs centred around accountancy and finance, it’s no wonder that Edinburgh attracts so many people to move up from London for a better standard of living. Even still, this is down from a combined percentage of 45% for the second half of 2010. During the last six months there has been a shift to more sales and IT jobs in the city. This boom in the financial sector has helped Edinburgh maintain an employment rate at 70.4% (Source: Labour Force Survey 2011). 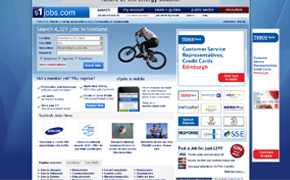 Currently there are over 700 jobs in Edinburgh, advertised on s1jobs. Edinburgh has huge contrasts in its styles of available housing due to the age of the city. Some of the buildings in the old town date back to the 1500s and these contrast starkly with the modern apartment blocks in Leith and the luxury modern homes in Morningside and Grange. Still, the most popular housing in Edinburgh is to be found in the New Town where you can find 6 bedroom Georgian townhouses, some of which have now been converted into flats. With many high-end jobs, high quality housing stock and a high standard of living, the Edinburgh housing market has proved to be buoyant over the past two years. Since Q2 2012 the average selling price has been above the average asking price for properties sold. 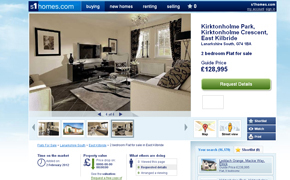 Currently on s1homes, there are over 1,800 houses for sale in Edinburgh and over 3,000 flats for sale in Edinburgh. There is also an extensive rental market with over 400 flats to rent in Edinburgh. Edinburgh is the biggest tourist destination in Scotland and this is undoubtedly due to the number of historic attractions in the city and the number of international events it holds throughout the year. When combined with visits to Edinburgh Castle, Dynamic Earth, Edinburgh Zoo or the National Portrait Gallery, it’s no wonder the cities hotels are often full. To see more of what Edinburgh has to offer then check out s1play.com where you can find information on over 400 gigs, plays, exhibitions and other events across the city over the next few months. Edinburgh is served by air, bus, rail, road and, soon to be, trams, as methods of moving people around the capital. Air: Edinburgh Airport is around 8 miles from the city centre and is Scotland’s business airport with over nine million passengers a year. Bus: The most popular method of public transport in Edinburgh is the bus, with Lothian Buses and First Bus dominating the city’s streets. Road: The M8 motorway connects to Edinburgh’s ring road and arterial routes to take people in and out of the city. Driving in the city centre can be difficult due to extensive road works and a network of one way streets. Trams: Edinburgh is currently constructing a new tram system to link the city centre to the airport. This new network is now due to be complete in 2114 and cost around £776m. Rail: Edinburgh Waverley is the main train hub in the city and connects trains from Aberdeen, Glasgow and England. There is also a limited local network of stations within the city. Edinburgh has an extensive education system for both children and adults. There are 87 primary schools, 23 secondary schools and 12 specialist schools, all ran by the state. There are also 18 independent schools including the internationally renowned Fettes College. Edinburgh also has seven further educations colleges and four universities: Edinburgh Napier University, Heriot-Watt University Edinburgh, Queen Margaret University and Edinburgh University. Edinburgh has a number of popular shopping centres such as the St. James Centre, Princess Mall, Omni Centre and Ocean Terminal. However, what makes Edinburgh unique is the number of small boutiques and vintage shops that can be found on the cobbled back streets and lanes. Many of these have been around for decades and sell interesting collections that you can’t find anywhere else.